Items Eligible for International Shipping will be available to ship with DHL Option once an International shipping address has been added at checkout. We follow and respect the guidelines set by our Suppliers. 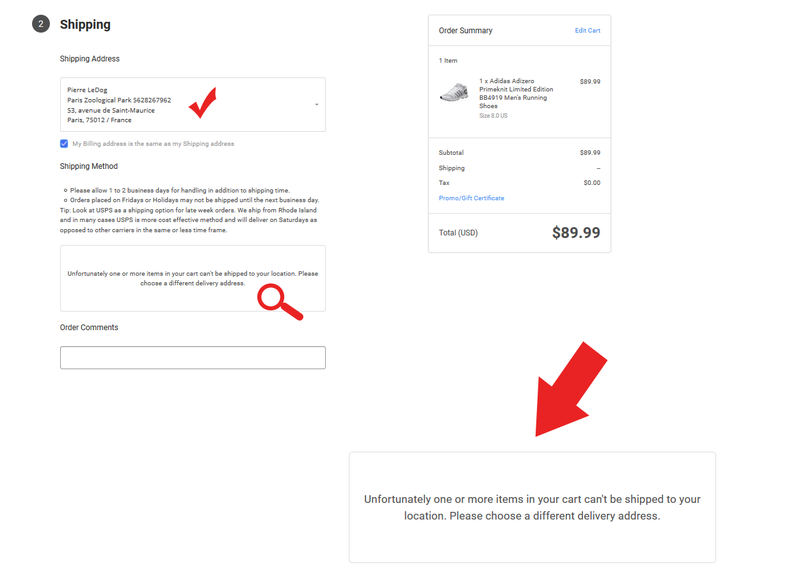 Products that are restricted from shipping outside of the United States due to Manufacturers Policies cannot and will not be eligible to ship to non domestic addresses. Everysportforless.com is not liable for any items lost, stolen, or damaged during shipment. Courier company holds full responsibility upon departure from the Everysportforless.com shipping facility. Customers are advised to file a loss/damage claim directly through the courier. Everysportforless will provide all necessary information needed to facilitate claim. Due to liability of courier, no refund or exchange will be given until the investigation is complete and the claim has been issued and reimbursed. Please note that while lost orders are one of our top priorities, package claims are a long and very extensive process and can often take several weeks or more to complete. For the convenience of our customers any correspondence in regards to Items Shipped Worldwide should be sent to weborders@everysport.us. Correspondence will be returned during our business hours in the United States Eastern Standard Time Zone. For Logistical reasons some items that are classified as drop ship only are not eligible for International Shipping. Free Shipping at $149.99 also does not apply to International Shipping.